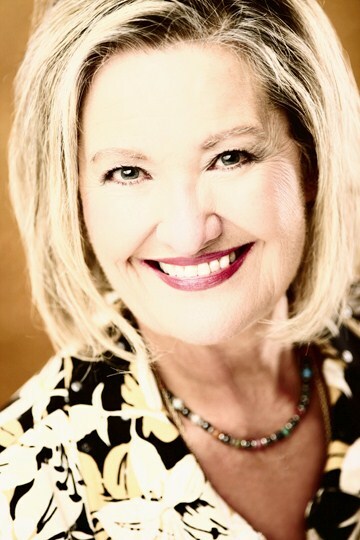 More than likely you've seen Ann Downing as a regular on the popular Gaither Homecoming Video series, however the majority of her time is spent maintaining a full schedule of church concerts and speaking engagements each weekend throughout the United States, Canada, and parts of Europe. Apart from her affiliation with the Gaither Homecoming Friends, Ann's own versatile music style appeals to a wide range of musical tastes and age groups, not just the Gaither Video fans. Ann's unique presentation style is also appealing in that she comes down from the platform to communicate with the audience on a very personal level. Her spontaneous, off-the-cuff delivery gives the feeling of a conversational visit rather than a rigid formal program. Raised on a cotton farm in rural Mississippi, Ann grew up dreaming of the day she'd sing Gospel music all over the world. Right out of high school she began to realize that dream by securing a position with the legendary Speer Family, later marrying the man of her dreams and co-founding a group that helped shape the face of Gospel music we have today. She won the industry's highest honor - the Dove Award - for Female Vocalist within a year of co-founding the Downings and went on to be inducted into the Gospel Music Hall of Fame. Her Gospel music career spanning almost fifty years, Ann has been lauded with various awards and accolades; however, she's quick to tell you that she's like you in many ways. Fading success? She's been there! Crumbling marriage or financial ruin? She's been there, too! Lost a spouse or experienced a devastating trauma in your family? Ann can relate! What do you do when you can't "fix" whatâs wrong in your life or the lives of those you love? What do you do when the circumstances of your life beg the question, "Do you really believe what youâve said about trusting God?" Ann's intensely personal story is one that reaches us all where we live and helps us hold firmly to the promise that "earth has no sorrow that heaven can't heal."